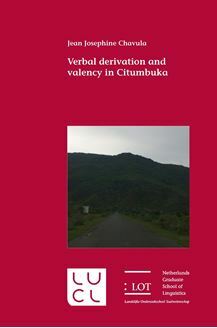 This book presents a comprehensive description and analysis of verbal derivation in Citumbuka (N21), a Bantu language spoken in northern Malawi and north eastern Zambia, with an estimated population of more than 2,000,000 speakers. The book consists of 10 chapters and is based on a corpus generated by the Centre for Language Studies under the MaLEX Citumbuka dictionary project supplemented by data from Citumbuka literature and consultations with native speaker. This work describes functions of common Citumbuka extension suffixes: passive, reciprocal, applicative, causative. Verbal suffixes are typical of Bantu languages, and basic information about the use of these extensions can be found in most grammars of Bantu languages. The analysis of the more common functions is a central topic of Bantu linguistics. What sets this thesis apart is that both Bantuist and general typological literature has informed the study of each suffix. An exceptionally wide range of semantic functions is discussed for each of the suffixes. The passive/stative polysemy, the reciprocal/anticausative/antipassive polysemy, diverse semantic functions of applicatives such as substitutive beneficiaries, judger applicative, possessor applicative and diverse semantic functions of causative suffixes such as conversive, autobenefactive, associative causative, are carefully discussed. Verbal derivation and valency in Citumbuka is a must read for anyone interested in Bantu linguistics, linguistic typology, African linguistics and general linguistics. It contains valuable information on the connection between linguistic typology and Bantu linguistics and forms a basis for comparative studies concerning verbal derivation in Bantu languages.